You want your first date to be a success because it can lead to a lasting relationship with your soulmate if there’s a strong enough connection. You might be unsure about whether or not it was a success because while some signs like having fun is an obvious one there are more subtle ones like having your focus entirely on her without forcing it. Think about the date from start to finish because if it’s a success then there will be good moments, thoughts and feelings that make you eager to see them again. A good sign that your first date was a success is that you were having fun with them and didn’t want the night to end. The time flew by and when you realized how late it was getting you found little ways to be with them for just a little bit longer. You might suggest going for drinks at a quiet venue or taking a walk because these are gestures that make it clear it’s about spending quality time with them and it isn’t because you have nothing else to do. This shows that you enjoy each other’s company and it gives you more time to get to know each other better. At the end of a first date most people either know they don’t want to see them again or are wondering if it’s worth the time and effort to have a second date. If you’re already looking forward to seeing them again then it means you hit it off. There will be no doubt that you can’t get enough of them and will already be planning on when and where to go for your next date because you’re excited at the thought of it. You’ll want it to be perfect and just as good or better than the first date. If you make plans to see each other again at the end of the date or soon afterwards then it’s obvious there’s a connection between the two of you. You will make the first move and actually talk about when to have your second date because you want to make it clear to them that you’re interested in them. By not waiting you’re ensuring that it will happen and that they won’t think about seeing someone else because they know there’s a possibility of a real relationship with you. Decide on when and where the next date will take place and don’t change plans at the last minute. Romance at the end of the night is always a good thing because she wants to create an intimate bond with you as soon as she can. This could be a short but sweet relationship or it could be the start of a life with your soulmate. If she gives you a goodnight kiss or takes things even further by inviting you inside then her feelings are just as strong as yours and you’re on the same page. Women tend to only show romantic feelings when they’re sure about how they feel because they don’t want to be vulnerable which means they saw the date as a success too. Being so focused that you don’t notice other people and that you’re not forcing yourself to pay attention shows how comfortable you are with each other. There won’t be any distraction tactics like playing on your phone or looking around the room for something to talk about because there’s a mutual lack of enthusiasm. Instead you’ll be talking, laughing and getting to know each other so well that you won’t realize how much time is going by. There wasn’t a dull moment and you felt like you have known each other for ages instead of being strangers meeting for the first time. You know it’s been a success when you feel an immediate connection with them and it doesn’t fade as soon as the date is over. During the date you felt happy, interested and like you had met someone who fills an empty space inside, you feel like they might be a soulmate who could be with you for the long term instead of being just a hookup. You’ll feel a strong desire to be with them and will miss them when they’re not around so much that you’ll be counting down the time until your second date. Having a lot in common is important because it gives you something to bond over and it helps lessen the occurrence of awkward silences. It could be something small like a favorite food or restaurant, something simple like a favorite TV show or movie or it could be something special like growing up in the same town or having mutual friends. Having things in common can also give you ideas for future dates that you know both of you will enjoy because you can go to your favorite restaurant or do hobbies together. Enjoyable dates are always a success and this will lead to the relationship becoming more serious and stable because you understand each other. By having fun and acting laidback you’re showing them that you’re not a boring guy they’ll get tired of quickly and instead make them think you can bring joy and excitement to their life. You want this kind of relationship and you’ll look forward to dating them because you know it’s a healthier, happier way to be. You’ll be able to create lots of good memories with them and see that it all started on your first date. How you feel during the date is a big indicator of how well it’s going because you know what good and bad dates feel like based on past experience. A successful date is one where you felt confident, comfortable and happy instead of nervous, shy or dying for the night to be over. You’ll be able to have a fun, open conversation with them and won’t be worrying that you’re not making a good impression because you’ll see that they’re having a good time too. 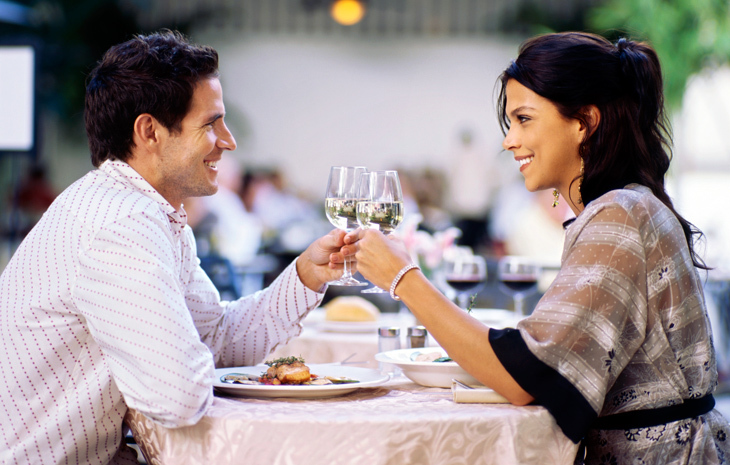 At the end of the date you’ll know there will a second date and feel confident about making plans to see them again.